Samsung, the Korean smartphone maker is eyeing to reclaim its position as a leader in the smartphone space. The year 2019 is expected to be very crucial for Samsung, and the phone manufacturer is heavily banking on its new Galaxy S10 line-up and the forthcoming Galaxy Fold device. Moreover, the Korean smartphone maker is also aiming to revolutionise the smartphone space with its first foldable phone which is scheduled to be launched in the market this year itself. As a reminder, Samsung unveiled Galaxy Fold earlier this year at an ‘Unpacked’ event in San Francisco. Samsung Galaxy Fold To Be Released in Europe By Early May - Report. The company has been officially teasing the new Galaxy Fold foldable phone for quite some time now by releasing number of teasers. The phone maker yet again has released a new teaser of the foldable device that showcases the durability of the phone. This video should serve the purpose to the customers that are concerned with the durability of Galaxy Fold. The teaser video shows phone undergoing the most stringent tests during the manufacturing stage. The video also reveals that the new Galaxy Fold passes through a week long stress test wherein the device is folded and unfolded for over 2,00,000 times. Samsung Galaxy A70 Smartphone With 6.7-inch Infinity-U Display & Triple Rear Camera Announced; To Be Unveiled on April 10, 2019. For starters, the Galaxy Fold from Samsung will sport a 7.3-inch foldable screen which can be folded to 4.6-inch display that seems to be convenient for a single hand use. As of now, there is no much detail available about the internals of Galaxy Fold. However, we do know that the handset will carry a triple camera module and two batteries (2190 mAh each) providing a total juice of 4380 mAh. To be offered in two shades - Black and White, the phone is likely to be priced around Rs 1.82 lakh. 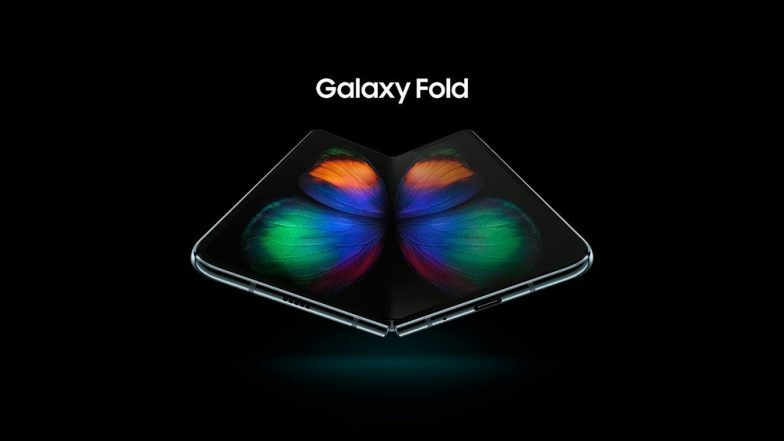 There are several rumours in the market stating that the company could soon introduce a 5G version of Galaxy Fold and the same is likely to make debut in the South Korean market only.